Tokyo, Japan on December 7, into shijinMandarin Garden Chinese language auditorium, Few dishes and some small artful traditional Chinese painting screen were put on a few decorated tables, Quite a .Chinese style. Actually, this room used to be a reading classroom but for this occasion it is holding a Chinese and Japanese tea ceremony exchange activities. 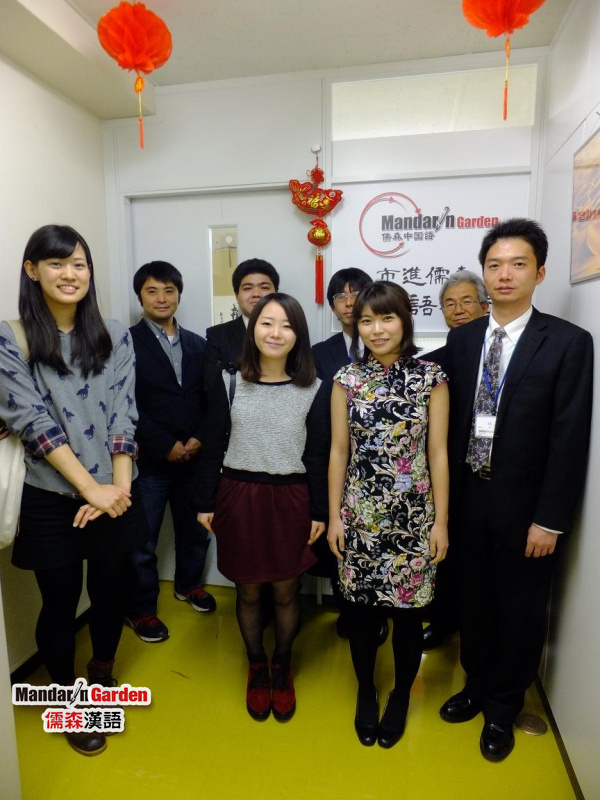 Since January 2013, the cooperation between Mandarin Garden and Japan Shijin education group has opened the "shijin - "Mandarin Garden Chinese language auditorium" project, nearly a year, the Shijin-Mandarin Garden, Chinese language auditorium attracted countless Chinese and Japanese college students, office workers, and other people from different social stratums. Tokyo, Japan on December 7, into shijin-Mandarin Garden Chinese language auditorium, Few dishes and some small artful traditional Chinese painting screen were put on a few decorated tables, Quite a .Chinese style. 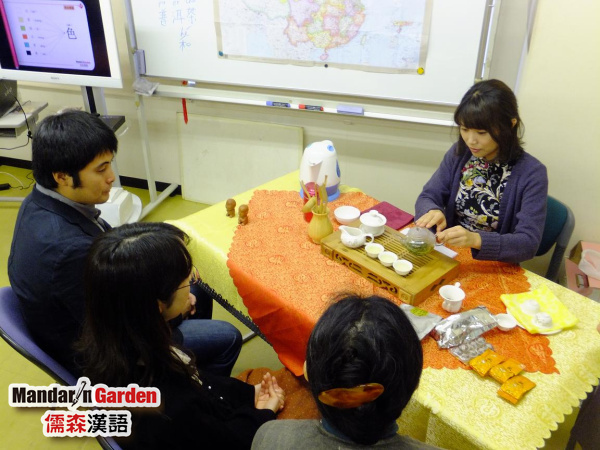 Actually, this room used to be a reading classroom but for this occasion it is holding a Chinese and Japanese tea ceremony exchange activities.